Hello Gardeners, I’m Amanda McNulty with Clemson Extension and Making It Grow. Although we are encouraged to plants native plant species that have special value for pollinators, we shouldn’t forget that certain non-native species can be equally valuable. 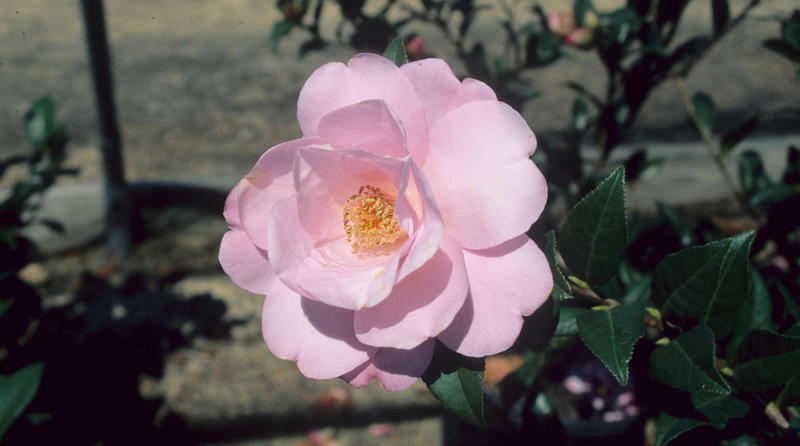 Camellias produce discernable amounts of nectar; they are self-sterile and rely on insects (or in some countries birds) to move pollen from the male stamens on one plant to the female stigmas of another species or cultivar. The European honeybees, non-native themselves, are active on warm winter days and visit camellias to collect nectar and pollen. Even the over-wintering Roufus hummingbirds sometimes visit these flowers to collect that high-calorie food. If you want to add some of these beautiful fall, winter, and early spring bloomers to your yard, choose ones that have an open-form with a large center of stamens, not the peony flowered ones like Professor Sargent which only have a center of petals.